Get news and special offers delivered right to your inbox! 540 Needles Derma Micro Needle Roller for Cell Regeneration, Scars, Pimples, Blemishes, Facial Wrinkles and Lines, Pores. Usable on the face and body, the 540 Needles Skin Roller may also help cut back and soften pimples or surgical scars, diminish the appearance of cellulite and stretch marks, scale back large pores, clean heavy pitted skin, and assist in reversing the results of sun damage. The 540 needles Skin Roller dramatically will increase the effectiveness of your hair and pores and skin products by increasing absorption of your products from the usual 4% to as a much as 87% of the product being absorbed deep in your skin. Utilizing the 540 Needles Skin Roller promotes production of missing collagen, resulting in pores and skin rejuvenation, great skin elasticity, and tightening and thickening of the skin. When used on the head (scalp), the Pores and Skin Roller also stimulates the hair to maintain its thickness and help with thinning and balding hair areas. Dramatic results can be seen within one week. The aging process can be cruel to our skin. 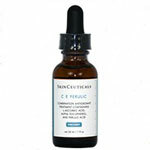 Between sun damage and progressive collagen loss, the skin loses its plumpness and resiliency. Micro needle skin rejuvenation or "Mesolift" infuses the dermis with potent vitamins and anti-oxidants to rejuvenate and revitalize the skin. Micro needle skin massage will stimulate collagen production, helps to infuse active cosmetics into the skin. The micro needle skin care system consists of the round drum inlaid 540 tiny needles coated with titanium vapor, that makes them extremely stong and hypo-allergic. Titanium vapor coating is used for surgical implants and approved for medical use. The roller is sterilized and comes in a sealed bag. The thickness of the top skin layer (epidermis) is 0.08-0.5mm on the face. 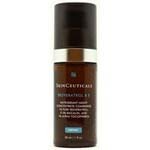 This layer is a main skin barrier and as part of its protective function prevents skin care topical to penetrate deeper as well. Micro needles make micro punctures that through specific response of the skin to a micro damage stimulate new collagen production. 1. Micro needle skin care system is good for skin complexion improvement, wrinkle reduction and face rejuvenation. 2. Micro needle skin care system is the best choice for facial treatments due to specific skin thickness on the face. 3. Micro needle skin care system will increase skin permeability without harming underlying capillary system. 4. Micro needle skin care system is best to be used with professional skin care concentrates to insure the safety and effectiveness of the treatment. .
How is The 540 Needles Skin Roller Superior to Other Rollers? Extra Needles per Head The Skin Roller has 540 needles per roller head, in comparison with the standard roller that has less than 200 needles per head. With extra needles, you will have greater penetration in much less time. Thinner Needle Thickness The needle thickness is 0.20mm, in comparison with the standard needle thickness of 0.25mm, which means you should have much less discomfort throughout needle therapy. Needle shape leads to less discomfort The diamond shape of the 540 Needles Skin Roller leads to less pain compared to the standard round shaped needle of other skin rollers. This is because the thickness of the spherical-shaped needle is twice as large as the diamond shape needle of the 540 Needles Skin Roller. The roller can be used per one person only! Do not share your Roller with anyone else. Skin micro-needling (derma rolling) is an increasingly common cosmetic procedure for treating acne scars. Our roller is a class 1 medical device which is simple and easy to use at home. In fact, it has very similar results to Laser Treatment, Chemical Peels and Dermabrasion, but is considerably less invasive (without any of the skin trauma) and carries only a fraction of the cost. The derma roller perforates the stratum corneum creating a high TEWL (trans epedermal water loss)on acne scars. In a sense it re-activates an inactive healing state allowing ReJuveness scar healing products to work and repair of the stratum corneum. The results will be a totally rebuilt stratum corneum and smooth even colored highly aesthetic re-healed scarred area. 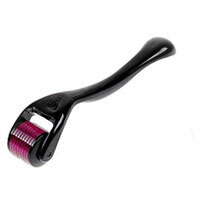 The size of the roller depends on the skin's (epidermis) thickness of treated area. The needles are not supposed to reach the dermal (dermis) level deeper than 0.5mm. Skin thickness varies from tens shares of millimeters to 4 millimeters. ** Please, note that the thickness of the skin depends on skin type, age, health conditions and may vary from individual to individual. If you have sensitive, dry, fair skin, choose smaller size. Consult skin care specialist to determine your skin type and its appropriate treatments. Copyright © 2006 Complete Skin Care. All Rights Reserved.